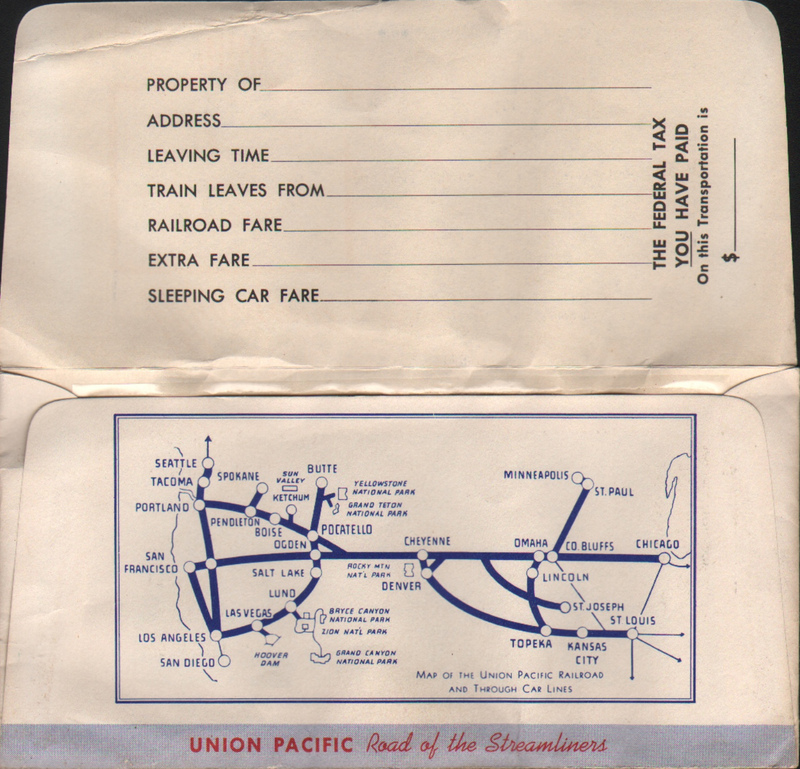 Description Union Pacific (UP) Railroad train ticket envelope - Wyoming. In the heart of the Dude Ranch country, Wyoming offers vivid scenic contrasts - - - the lofty Tetons; lakes-studded Jackson Hole country; the sagebrush plains; Yellowstone National Park. Union Pacific Road of the Streamliners.